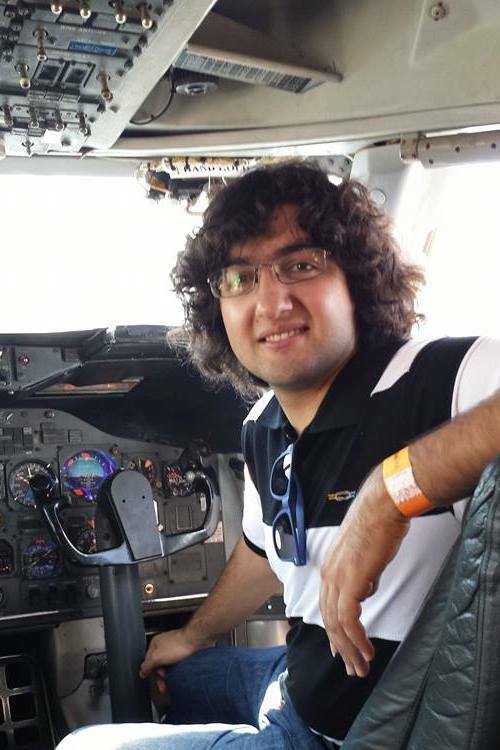 Graduate student Ali Ahmad Khostovan [Physics and Astronomy Department, UC Riverside] has been awarded the prestigious NASA Earth & Space Sciences Fellowship, handed by the Science Mission Directorate (SMD). The fellowships are given to qualified candidates who have submitted proposals that match NASA’s SMD science strategy. Those who are selected have proposed PhD thesis projects that are targeted to answer scientific questions that the SMD considers a part of their overall science strategy. The fellowship allows students to focus mainly on research during their graduate years, and covers some conference, supplies and tuition expenses. The rate of acceptance in the Astrophysics field is close to 8%, and is also the most competitive of the four fields (Astrophysics, Planetary science, Heliophysics and Earth sciences). Understand which are the processes that govern how fast stars are formed in the Universe and how it alters the physical properties of galaxies over cosmic time. Understand the physical mechanisms that regulate how stars are formed from dense pockets of gas and how other processes counteract this in the form of feedback. Determine how the surrounding environment plays a role in the evolution of galaxies. For this end, Khostovan, Mobasher and Sobral have a large sample of galaxies that are selected based on emission-lines that are associated with star-formation activity. These galaxies will be observed with the latest spectrometers, achieving a detailed view of the gas content and its dynamics. The proposal prepares predictions which data acquired in the future by the JWST and WFIRST space telescopes can confirm, constrain or disprove.